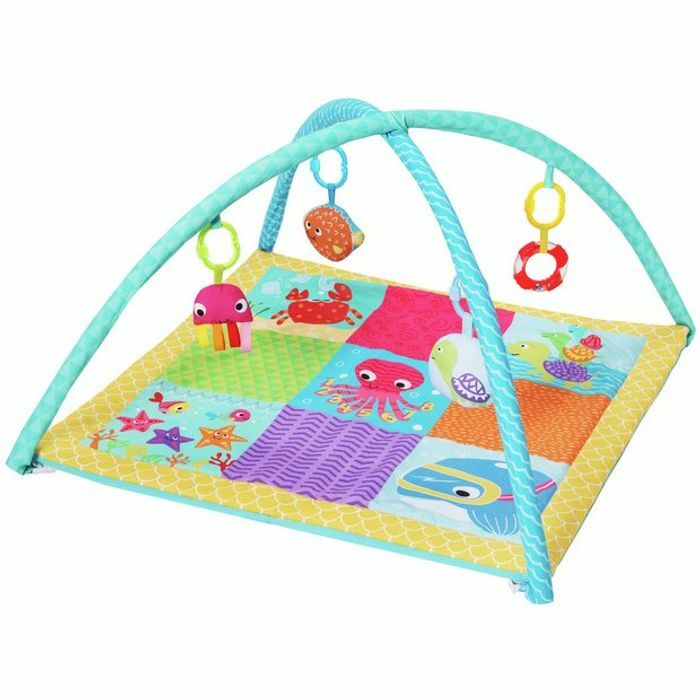 This colourful, soft fabric baby gym is perfect for helping to stimulate your baby's senses in their early years. Suitable from birth, the colourful characters are placed above your baby so they can play with them while they're lying down. With so many sounds and things to see and do this gym will improve their hearing, movement, visual ability and sense of touch.